Everyone has a dream to have an ideal home, which is more than just a structure to stay safe against harsh weather conditions. A perfect house is a spacious area that makes residents feel comfortable in it and satisfies their accommodation needs. Adding an outdoor space for fun and installing a carport with a storage room are some extra features that make the life easier than ever in a house. In addition to some common features like bedrooms and kitchen, you can add some more elements to your home to add value to it. Whether it’s a small house or a big property, there are some features that can turn a space into an ideal home. You need to design some of these elements during the initial phase of your home’s constructions, while the others can be added anytime whenever you require them. If you think single-level homes are for low-income families, then it’s the time to update your definition of a perfect house. Some of the most beautiful regions worldwide have single-levels home where people are living happily. Single-level homes aren’t just easy to clean, but you can decorate them in many ways. It is easy to maintain them as every corner is easily reachable for regular maintenance. You do not require costly equipment to insulate the interior. Single-level houses don’t have stairs. This feature makes them secure for kids and old people. Even if you have spent a huge amount of money on constructing your dream house, it is not going to benefit you during the time of selling it when it is not located in a good region. Here, a good region means a place close to important places. There should be a shopping center near your home where you can buy all the important things in your day-to-day life. Apart from shopping, there should be more houses in the neighborhood. It will not just make you feel secure but also give you an opportunity to be social. One more beneficial feature of choosing a great location is added value to the house. In case the real estate market sees a drop, it is not going to affect your property price. Having a beautiful outdoor space will not just provide you with an area to enjoy some leisure time with your family but also keep you healthy. In the form of an outdoor space, you get a region to have your own garden and plant some plants there. Even if you have a home with a gorgeous interior, you should also go out every day for a good health. Spending some time to observe nature keeps you stress-free. As per a study by the University of California, people who spend some time outside their home daily have low levels of cortisol. When it is about selling the home, having a patio or deck is a plus point that adds more value to the place. Several buyers find those houses more attractive than others which have a spacious outdoor living space with them. Although it is not necessary to tell about the importance of a storage space in a house, it should be a big priority while building or buying your dream home. There are many ways to have a great storage space in your house without constructing a special room for it. In addition to maximizing the capacity of your storage room, you need to design your rooms in a manner that they provide you with extra space to store your items and roam freely. You can use many kinds of modern storage tools to store lots of necessary items without covering a large area of the house. Like a living room, bedroom, kitchen, a bathroom, a garage is also an important part of an ideal home. Install a garage as per your need while matching it with other parts of a house. You can invest in metal garages as they are versatile, durable, and easy-to-maintain. Design a carport or garage while considering space available, vehicle numbers, and your budget in mind. 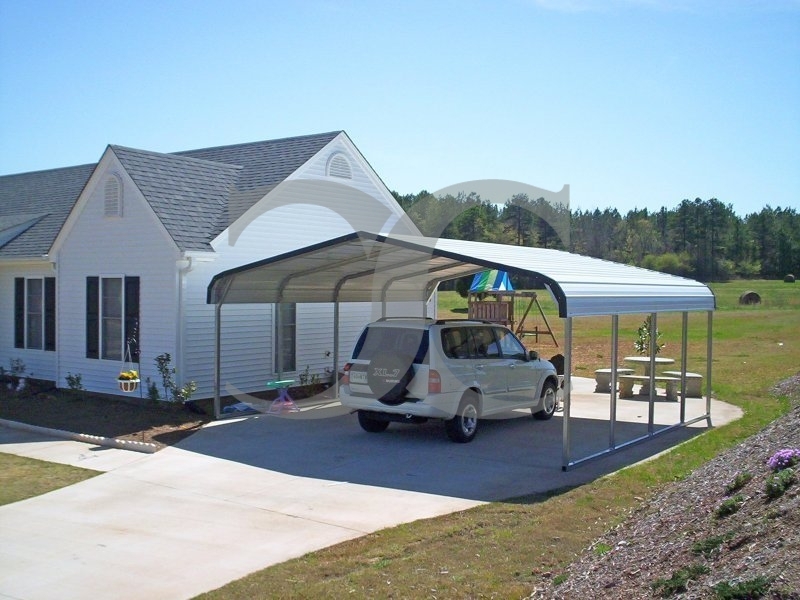 If you have one car, then get a single metal carport. In case you have a big vehicle or an RV, look for RV shelters for sale in your region. These are some necessary elements- other than spacious bedrooms, kitchen, and bathrooms- that turn a house in an ideal home. You should consider them while constructing the house of your dreams.